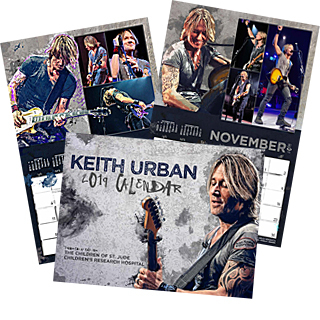 Visit Keith’s official site at:https://keithurban.net/events for current tour dates. Hi it’s Olivia I was hoping if you could make it to the sunlight sounds festival on the 23 of December my mum is the manager 😎😎😎😎😎😎 I am your biggest fan that u could ever have I listen to your songs every day I especially like your song blue ain’t your color and wasted time all the songs are awesome. By the way so you now do tee hoc the singer ? When will Keith Urban return to Nebraska? Hi, We bought tickets for Nashville November 11th show through Stubhub. Our tickets got lost in our move from Virginia to Sarasota FL. We booked Arline & are in Nashville today November 10th hoping Stubhub would help us or Bridgestone Area would help uscsunce we gave an email confirming our purchase, seat & row assignment in my name. However, neither Bridgestone or Stubhub will help us. our 2 Tickets cost over $500 and was for my birthday last month in October. Keith, you really need to look into a song titled Prodigal sung by Walking profits. You could rock this thing and really make an impact on society. Love your music! Could Keith urban come Chattanooga? That would be awesome! When are you coming back to Minneapolis /St. Paul???? We are your biggest fans!!!! please come to New York soon! ilysm<3.ur amazing. It was a few years ago in SC that I got to meet you backstage and get two hugs and see how awesome you are in person. You are terrific! I saw you again in Charlotte, NC and am looking at upcoming tour dates. Your concerts will never old. Thanks for all the entertainment you provide. Is Keith ever coming to tour in San Diego or LA in 2016? I would love to get a group to go see him!! Thank you!! Please come back to South Dakota. We love you and so enjoyed your concert in Sioux Falls. You played at the Denny Sanford Premiere Building for two nights with band Perry. It was an amazing concert and good time. Come on back we miss you. What about Norway?? When do you play here? He will be in San Antonio o Feb 14 for the Rodeo! 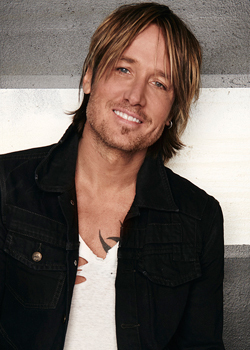 was just wondering why keith urban has never come to Montreal,Qc Canada? I hear you are gonna be back in greenville south Carolina at the bilo-center December 6th2013 and when do tickets go on sale please message me on facebook look me up Brenda o Peace or email me. I really hope I will get to see you in concert. I am your BIGGEST fan you will ever have! It is my biggest dream to meet you in person and I hope I will get the chance someday. Keith,can’t wait to see you Sept 22 in Sacramento….. When do the tickets for Melbourne come on sale and how can I get some?